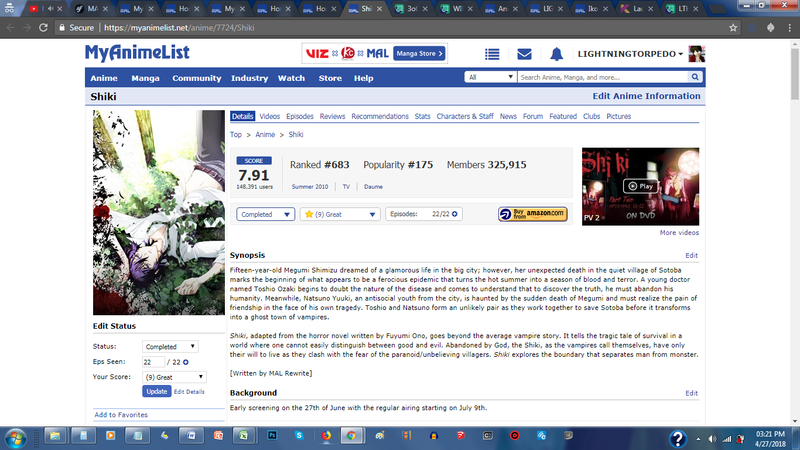 Watch an anime adapted from a manga: Tokyo Ghoul: "Jack"
Watch an anime adapted from a light novel/novel: Tokyo Ghoul: "Pinto"
☠ Watch a 2nd OVA/Special: Tokyo Ghoul: "Jack"
Watch a Horror anime with an average score of over 7: Tokyo Ghoul: "Pinto"
4) Watch an OVA/Special Tokyo Ghoul: "Jack"
5) Watch a 2nd OVA/Special Tokyo Ghoul: "Pinto"
26) Watch an anime with a main cast mainly of Females Gakkougurashi! 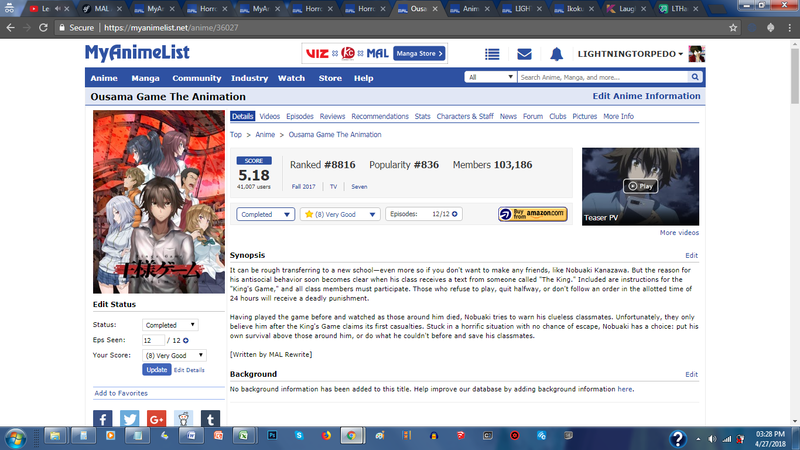 18) Watch an anime with a main cast mainly of Females Higurashi no Naku Koro ni! [X] Watch a TV Series: Gakkougurashi! [X] Watch an anime with 5 or less episodes: Tokyo Ghoul: "Jack"
[X] Watch an anime with a main cast mainly of Females: Gakkougurashi! [o] Watch an anime with a main cast mainly of Females: Gakkougurashi! 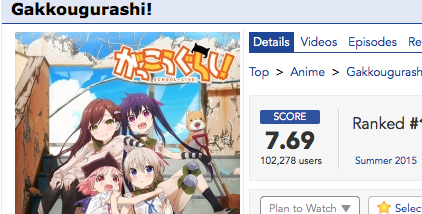 [✔] Watch an anime with a main cast mainly of Females: Gakkougurashi! Everything has been previously watched, hence just the easy challenge. 1. Previously seen is not allowed except for Easy difficulty the first time through. Make all previously seen entries in italics. 2. Series must be 15+ minutes (total). Only for the requirement "Watch an ONA", the series can be any length. 3. Previously started, but not finished, may be used. Watch an OVA/Special: Tokyo Ghoul: "Jack"
Watch a 2nd OVA/Special: Tokyo Ghoul: "Pinto"
Watch an anime with a main cast mainly of Females: Gakkougurashi!